Philip Mann will be tasked with leading the program to greater renown. Texas Tech University's J.T. & Margaret Talkington College of Visual & Performing Arts has selected up-and-coming American conductor Philip Mann as its new Director of Orchestral Studies for the School of Music. In his new role, Mann will coordinate and guide all aspects of the orchestral program. His duties will include conducting the University Symphony Orchestra; leading the graduate orchestral conducting program, including doctoral and master's programs; maintaining a growing national and international profile; assisting in the recruitment of undergraduate and graduate music majors as well as graduate orchestral conducting majors; and maintaining creative/scholarly and service contributions appropriate to the assignment. "This has been a long and difficult search to find a candidate capable of continuing the work of building our orchestral studies areas and capable of moving that area of studies to the next level of excellence nationally and internationally," said Noel Zahler, dean of the College of Visual & Performing Arts. "I am happy to announce that Dr. Philip Mann is the successful candidate of choice." Hailed by the British Broadcasting Corporation as a "talent to watch out for, who conveys a mature command of his forces," Mann is quickly gaining a worldwide reputation as an "expressively graceful yet passionate" artist with a range spanning symphonic repertoire, opera, new music and experimental collaborations. As Music Director of the Arkansas Symphony, the state orchestra saw unprecedented artistic growth, attendance records, construction of a new concert hall, launches of several groundbreaking performance series, expansion of classical programming weeks, the return of fully staged opera to the metropolitan area, seven consecutive years of financial surplus, and the founding of Arkansas' first collaborative arts festival. "I am pleased to join the talented faculty of the Texas Tech School of Music and look forward to sharing the stage with its promising, young artists," Mann said. "While I look forward to building upon Texas Tech's rich tradition of excellence in performance, education and research, I'm also thrilled to join a school and college during a transformational time of ambitious visions for greater national and international prominence. As we work collaboratively to further grow an orchestra program of superlative artistic quality, I envision an environment that continually seeks to create those indelible moments of shared music-making, which can inspire the next generation of musicians and music lovers." Mann's already highly praised Brahms collaboration with the London Symphony and pianist Norman Krieger is scheduled for release on Decca Records later this year. A Rhodes Scholar, he was the winner of the Vienna Philharmonic's Karajan Fellowship at the Salzburg Festival and an American Conducting Fellow. Recent and upcoming engagements include a recording with the Royal Scottish National Orchestra, concerts with the Sofia Philharmonic, National Radio Philharmonic of Romania, Busan Philharmonic, Ljubljana Festival, National Chamber Orchestra of Romania, Batumi Festival Orchestra, New West Symphony, Voronezh Philharmonic and major orchestras, operas and festivals in Europe, the United States and Asia. Mann has been an assistant conductor for performances with the Cleveland Orchestra, Berlin Philharmonic, Vienna Philharmonic and Royal Concertgebouw Orchestra. 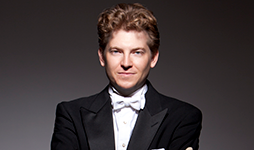 Previously, the music director of the Oxford City Opera and Oxford Pro Musica Chamber Orchestra, he has also held conducting positions with the Indianapolis Symphony, San Diego Symphony and Music in the Mountains Festival. As the Associate Conductor of the San Diego Symphony, Mann conducted hundreds of critically acclaimed performances, including a Strauss/Debussy/Mozart program where the Union Tribune raved, "Mann was masterful... a skilled musical architect, designing and executing a beautifully paced interpretation, which seemed to spring from somewhere deep within the music rather than superimposed upon it." Mann's Canadian debut with l'Orchestre symphonique de Québec was dubbed by Le Soleil as a "Tour de Force" and produced an immediate re-engagement. Other recent engagements include the Georgian State Opera, National Symphony of Cyprus, Phoenix Symphony, Sarasota Symphony, Grand Rapids Symphony, Symphony in C and the New Mexico, Tulsa and Voronezh Philharmonic. Mann has worked with leading artists such as Joshua Bell, Sharon Isbin, Dmitri Alexeev, Midori, Marvin Hamlisch and given premiers of major composers including John Corigliano, Jennifer Higdon, Samuel Adler, Michael Torke, Lucas Richman, Christopher Theofanidis and many others. He maintains a lively schedule as a guest conductor having conducted multiple sellouts at Lincoln Center's Avery Fischer Hall and London's Barbican Center. Having assisted Franz Welser-Möst, Simon Rattle, Leonard Slatkin, Jaime Laredo, Mario Venzago, Bramwell Tovey and Pinchas Zukerman, he studied and taught at Oxford, where he won the annual competition to become principal conductor of the Oxford University Philharmonia. Under his leadership, the Philharmonia's performances and tours received international press and acclaim. Mann studied with Alan Hazeldine of London's Guildhall School of Music and Drama, Colin Metters at the Royal Academy of Music, and Marios Papadopolous of the Oxford Philomusica. He worked with Leonard Slatkin and the National Symphony Orchestra at the Kennedy Center's National Conducting Institute and Michael Tilson Thomas at the New World Symphony. Mentorship with Esa-Pekka Salonen and Jorma Panula followed at the Los Angeles Philharmonic's Conducting Masterclasses, and Robert Spano with the Atlanta Symphony Orchestra's international Mozart Requiem masterclass for the League of American Orchestras. 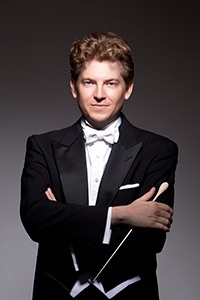 He has also worked under Imre Pallo, David Effron, John Poole and Thomas Baldner at Indiana University, where he was appointed visiting lecturer in orchestral conducting and worked as assistant conductor at the IU Opera Theater. Additional studies came under the Bolshoi Theater's music director, Alexander Vedernikov, at the Moscow State Conservatory, Gustav Meir, Kenneth Keisler and with Pulitzer Prize-winning composer Robert Ward. Mann was the outstanding graduate (valedictorian) of the Herberger College of Fine Arts at Arizona State University and winner of both the Honors College's Thesis of Distinction and 2016 Distinguished Alumni Award. He is the recipient of numerous awards, including commendations from several cities, the states of California and Arkansas, and has been recognized for his extraordinary community engagement as winner of Arkansas' Communicator of the Year, and the Public Relations Society of America's Diamond Award Winner for enhancing the image of the entire state. Mann will begin his new position this fall.